Empower your members by allowing them to take control over various aspects of their healthcare with intuitive self-service mobile tools. 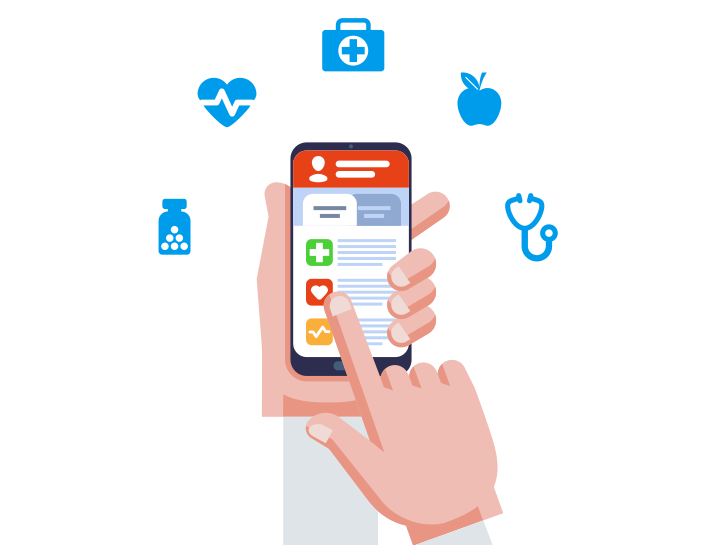 VBAMobile, powered by VBAGateway, can help your organization give patients a seamless experience that can bolster satisfaction and increase utilization. Together, as part of the VBA family of administrative products or standalone as part of our VBAGateway offering, you will know your members have the best tools in the market for real-time administrative support. VBAMobile Home screen summarizes a members latest activity and allows quick navigation to additional details. Detailed access to member claim information across all covered plans in a single, easy-to-navigate claims list. Plan details, network participation, as well as additional eligibility information to support ID Card needs. With VBAMobile, your members are plugged in to an industry leading Member Self-Service Mobile App. Through VBAMobile your members can perform numerous self-service functions, in real-time, that would normally require management or administrative oversite. Member self-service through the VBAMobile App eliminates cumbersome manual processes, phone calls and paperwork resulting in real, tangible savings by the administrator.